Sometimes the issue isn’t with making sure your audience stays engaged, it’s keeping yourself interested, too! It’s time to get creative with presentations! If you are not excited about the material, your audience won’t be, either. One way to rejuvenate your interest and look at your content from another perspective is to get creative with presentations! When audiences see an approach that is unique or unfamiliar to them, they are more apt to appreciate the content because they see it differently, themselves. I’m sure you know it’s a good idea to think outside the box, especially in the workplace. 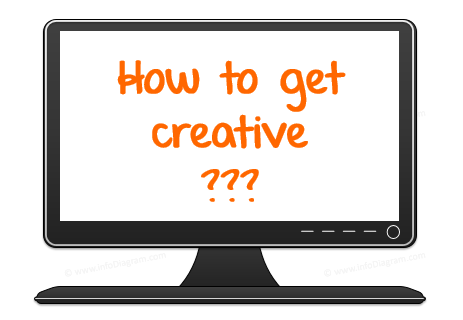 Have you been staring at the blank computer screen looking for a way to get creative? Stop! Give yourself an extra 15-30 minutes of planning time, and shut off that screen. Computer work kills creativity. There is nothing more intimidating than a blank screen, and if you’re like most of us you could probably stand to spend some extra time away from the computer, anyway. Now, contrary to what might feel normal when planning a presentation, pull out some paper. Remember, we want to be creative! Part of that is doing something different. Doing something unique has a better chance of yielding different, and dare we say it, creative results. Jot down your goal. What do you want to achieve with this presentation? 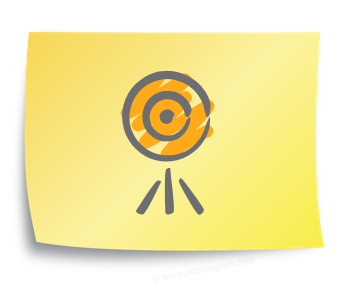 Notice: Good goals feature a subject, the outcome, and the audience. 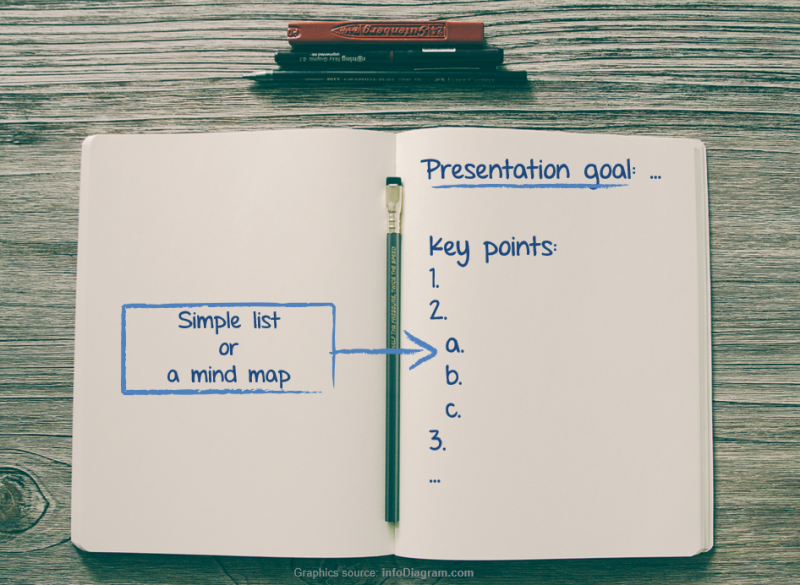 This helps you capture the full essence of your presentation. Now write out your key points. When you’re putting these down, you don’t need to go in any particular order. You’re just brainstorming at this stage. Once you have fleshed out everything you want to say, sort through your points and put them in order. Once you’ve got your plan onto paper, all you have to do is pop back onto the computer and make it happen. 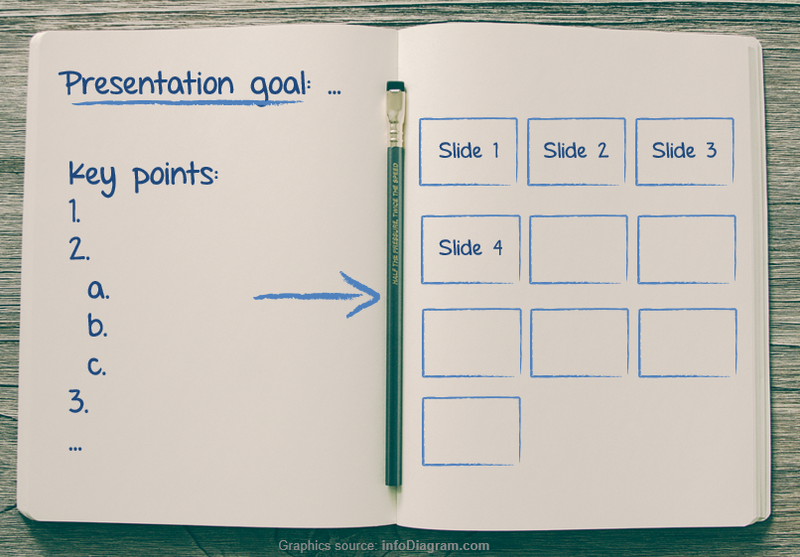 Since all your planning is done, the actual presentation creation steps should take half the time it usually does, or less! Use that free time to enjoy how much more interesting your presentation is, now that you’ve put extra time into crafting the design and purpose. Artistic and creative aren’t synonymous. If you can’t draw, don’t panic. As long as you know what the sketches mean, that’s all that matters. Taking time to plan can save you a lot of time in the long run. Doing something different or stepping away from the computer can be enough to get the creative juices flowing. If you can draw a box or fold a sheet of paper, you can sketch out a great presentation. What are your favorite ways to get creative? Have you resorted to the paper & pencil methods before? We’d love to know what tips you recommend so we can pass them along to other readers. Let us know in the comments or by reaching out via the contact form. We’d also love to help if you need assistance getting your presentations to pop!